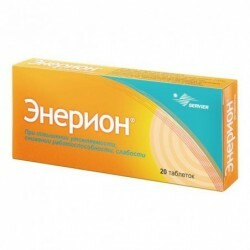 In exchange admission increases physical and mental performance, reduces headache, improves memory, normalizes sleep; helps to reduce or eliminate feelings of anxiety, tension, fear; improves the condition of patients with motor and speech disorders. Cerebrovascular insufficiency, asthenia, depressive disorders in old age. Conditions accompanied by anxiety, fear, increased irritability, emotional lability. Asthenic conditions caused by various neuropsychiatric diseases. 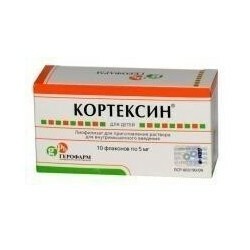 In the complex treatment - for the relief of acute alcohol intoxication; in chronic alcoholism - to reduce asthenic, asthenoneurotic, postpsychotic, pre-relapse states, as well as alcoholic encephalopathy. As part of complex therapy - migraine (prevention), TBI, neuroinfection. Improving the tolerance of physical and mental stress (for people in tense and extreme conditions of activity; to restore physical performance of athletes, to increase resistance to physical and mental stress). Open-angle glaucoma (to stabilize the visual function). In urological practice (in children older than 3 years and in adults with urinary disorders) to improve the adaptive function of the bladder (reduction of detrusor hypoxia). Is ingested, regardless of the meal. 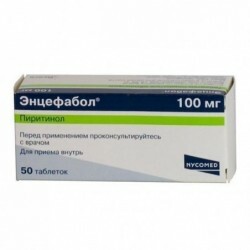 With cerebrovascular diseases a single dose - 20-50 mg 2-3 times / day, daily dose - 60-150 mg. The course of treatment is 1-2 months. Repeated course - in 5-6 months. Depressive states of late age: 40–200 mg / day for 2-3 doses, the optimal dose range is 60–120 mg / day for 1.5–3 months. As an antiastenic and anxiolytic, 40-80 mg / day, if necessary, up to 200-300 mg / day, for 1-1.5 months. When alcoholism in the period of abstinence prescribed in a dose of 100-150 mg / day, a short course of 6-7 days; with more persistent violations beyond withdrawal - 40-60 mg / day for 4-5 weeks. For recovery and at increased loads - 60-80 mg / day for 1-1.5 months, for athletes in the same dose, for 2 weeks. training period. 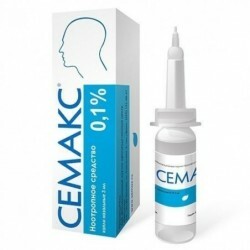 Parenterally injected into / in drip or jet (slowly), in / m.
In chronic cerebrovascular accidents - in / in or in / m, 100-200 mg, 1-2 times / day, daily dose - 20-40 mg. Depending on the patient's condition, they are used in the morning in / in the drip, in the evening - in / m; or within 10 days in / in, then in / m. The course of treatment is 15-30 days. To relieve acute uncomplicated intoxication with ethanol, the complex therapy is administered in a saturating dose of 5 mg / kg and supporting — 1.56 mg / kg / h in a volume of 2.5 liters of infusion solution, for 4 hours, in the morning and evening. 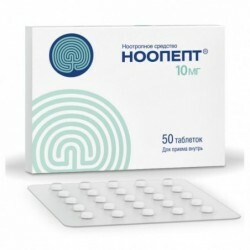 In asthenic conditions, depending on the severity of the disease, in addition to oral administration, intramuscularly injected in a daily dose of 20-40 mg for 1 month. Nausea, headache, dizziness, irritability, agitation, anxiety, allergic reactions (rash, itching). Chronic renal failure, pregnancy, lactation, hypersensitivity to nicotinoyl gamma-aminobutyric acid. 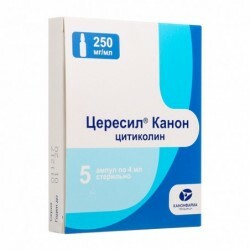 Reduces the duration of the action of barbiturates. Enhances the effect of narcotic analgesics. Symptoms: increased severity of adverse reactions.